Albion was formed in 1876 by a group of Dockyard Apprentices and their first matches were played at Devonport Park. 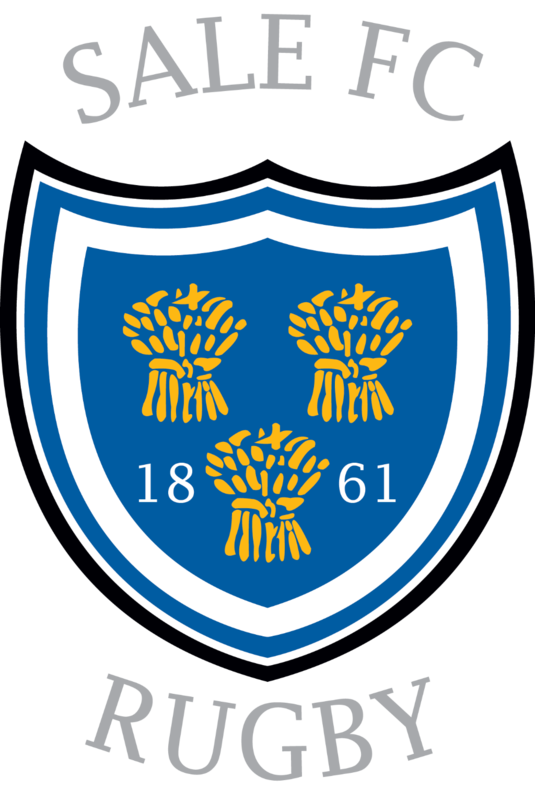 The club rose rapidly in prominence in the formative years and, in 1886, merged with Keyham RFC. In 1887, Albion were offered a field at Bladderley Lane, Beacon Park. Season 1891-92 saw the total attendance for all home matches reach more than 27,000, with the highest gate of 3,571 when Barnstaple visited. In 1894, Albion moved to Home Park, now home to Plymouth Argyle FC. Changing Rooms and other facilities made this one of the best-equipped rugby grounds in England. The opening match against Aberavon was won by the home side, 10-6. A year later Albion left Home Park and returned to Bladderley, but stayed only one season, after failing to negotiate an agreement with the ground owners. In 1896, plans were drawn up to develop the Rectory Field in Devonport and, on the September 16, 1896, Albion played their first match at the venue against Redruth, winning 6-0. Attendances increased with five figure gates a regular occurrence. The biggest crowd was on a Wednesday afternoon in November when 17,500 spectators watched Albion play Oxford University. During this period Albion went from strength to strength and, in 1900-01 under the Captaincy of EJ Vivyan, they played 39 matches, drawing two and losing only once to Swansea, 3-7. On October 25, 1905, the New Zealand All Blacks, known fondly as ‘The Originals’, played Albion at the Rectory in their twelfth game of a 35 match tour. They defeated the home side 21-3 in front of a crowd of 19,000. It was during this period , 1901-1912 , that international honours were bestowed on ten Albion players. Success continued, with Albion becoming one of the top clubs in England, until rugby came to a standstill due to the outbreak of the Great War. After the end of hostilities , both Plymouth RFC and Devonport RFC struggled to reform. A decision was taken by both clubs that Devonport would amalgamate with Plymouth, mainly due to the fact that their ground, the Rectory, had been sold to the Admiralty and the Plymouth Honorary Secretary, FW Jeffery, had acquired a lease on Beacon Park. It was also decided that they would share their club colours, the green and white of Plymouth and the cherry and white of Devonport. They would be known as Plymouth Albion RFC. The main reason for the name change was to identify the club’s location as its ambition was to play more fixtures further afield. It was during this period, 1920-1931 that a further seven players were capped. Off the pitch, the Vice Presidents Club was established in 1919 just a year before the formation of the Supporters Club in 1920. In season 1927-28, the Supporters Club Stand was opened at a cost of £283. In the same season the Plymouth Albion Juniors came into existence. Great service was given to Devon County side, with 48 players representing the county. The fixture list continued to improve and, by the outbreak of World War II, Plymouth Albion were playing clubs such as Moseley, Cardiff, Cross Keys and Leicester. Returning rugby to Beacon Park after the War was done with energy and dedication, and the club continued to advance, playing on average 40 fixtures a season against the likes of Swansea, Cardiff, Leicester and Bedford. During this decade more new fixtures were established with the club playing Sheffield for the first time in 1952, and Esher in 1953-54. The 1960’s saw ten players selected for the Bosuns XV, a tour of France, an inviation to play in the Middlesex Sevens Tournament at Twickenham and the celebration of 50 years of rugby at Beacon Park. During the 1970’s, Plymouth Albion began to break new ground, playing more clubs from London, the Midlands and South Wales. The club also hosted overseas visitors such as San Francisco and L’Aquila (Italy). In 1976-77 Plymouth Albion celebrated its Centenary, playing a total of 54 club and cup fixtures . When leagues were introduced in the 1980’s, Plymouth Albion were placed in Courage League Three. It took until season 1988-89 for promotion with a 100% record, under captain Kevin Norris and head coach Nigel Sparrow. In 1989 the team toured Canada and returned undefeated. The 1990’s was a difficult decade with Plymouth Albion relegated in two successive seasons and only avoiding relegation by winning away against Weston Super Mare in the last fixture of the 1998-99 season. The following year the Club was restructured and Graham Dawe was appointed as Chairman of Rugby. Along with many other changes, results improved and Albion finished fourth in the league. Between 2000 and 2002, the club gained promotion twice and set a new National League record of 41 consecutive victories. On April 26, 2003, Albion played their last match at Beacon Park and moved to the Brickfields. The first match was played there on September 13, versus Otley. A Sports Centre was subsequently built on-site with a Grandstand able to seat 1500 spectators. Between 2003 and 2005 Albion finished third in the league, and in 2004 -2005 reached their first Twickenham cup final. Financial issues and poor results followed, and the club found itself at the foot of the Championship table before being relegated in April 2015 after 13 years in the second tier of English rugby. Plymouth Albion entered Administration in March 2016 and was rescued by two former players, David Venables and Bruce Priday. The club began a process of rebuilding on and off the field and the team enjoyed a successful first season under new ownership, finishing second in National League One in 2016-17.